The RSF-backed Prema driver beat team-mates Nick Cassidy and Lance Stroll to hand the team an impressive 1-2-3 on the grid for tomorrow's race one. Dennis - who was also quickest in the day's second free practice session - knocked Stroll off the top with just under five minutes to go with 1m 42.217s lap that bettered the Canadian's best by 0.111s. But in the end it was championship newcomer Cassidy who came closest to toppling the RSF driver with a last minute flying lap that left him just six-hundredths of a second shy. Stroll will joined on the second row by Motopark's Markus Pommer. "I approached the last sector two-tenths down," said Dennis. "But somehow I managed to find three-tenths. So I'm delighted to be on pole. "In the two-day test earlier in the week things didn't go exactly to plan. We ended up going in the wrong direction. But we worked hard to sort it out for today and the car was awesome." 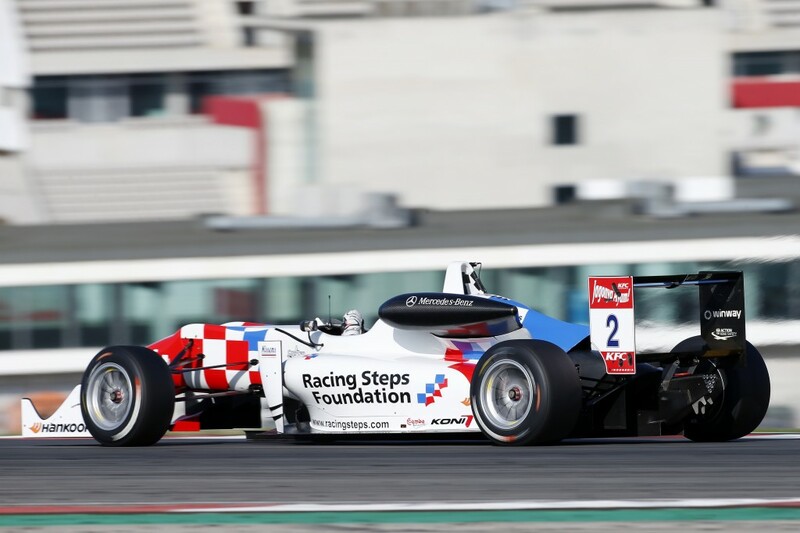 Qualifying 2 on Saturday finished with Jake Dennis lining up for second and third European Formula 3 races of the Portimao weekend from fifth and third on the grid.